This catalogue accompanied an exhibition of vintage prints, presented by Galerie Daniel Blau at Brooke Alexander Editions. 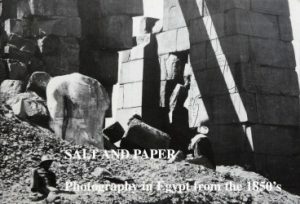 The 24 images include salt prints by Maxime Du Camp and albumen prints by Francis Frith. Published by Galerie Daniel Blau, Munich, 2001.